I really love the theme and products from this month's Ipsy Glam Bag, "Hello, Bombshell". This has to be my favorite Glam Bag thus far! 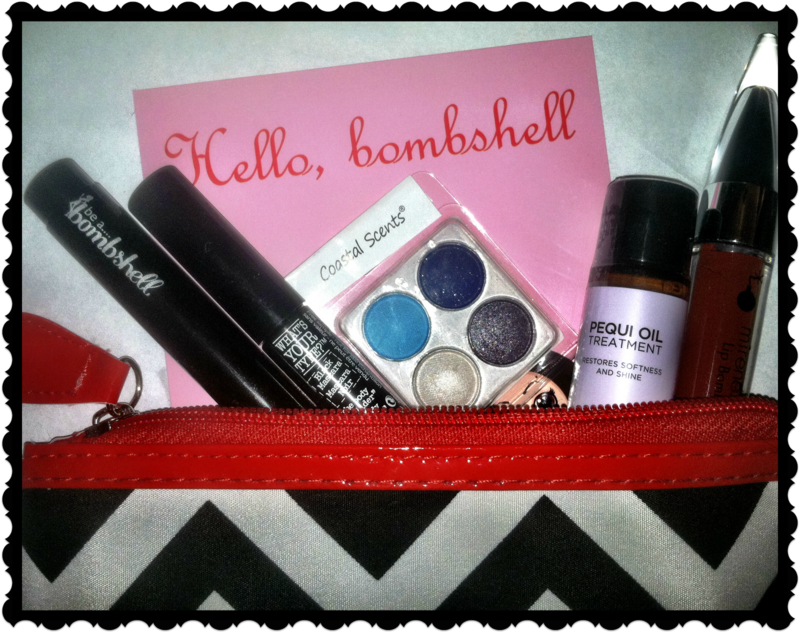 Four great makeup samples, and a hair product! Not to mention, the super cute black and white chevron print bag, with red zipper and tab. 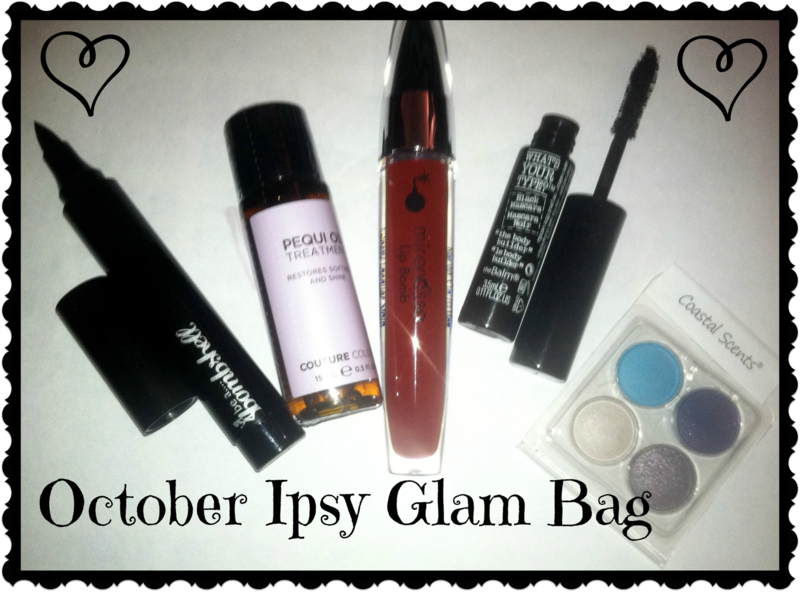 Ispy is formerly known as MyGlam, and is a beauty subscription program in which I am a member. You get 4-5 beauty samples, a cosmetic bag, and great offers from participating brands all for $10 a month. "The Body Builder Mascara", It's a black mascara with a traditional type wand but has a bamboo, panthenol, and vitamin e formula that conditions, strengthens, and thickens lashes. 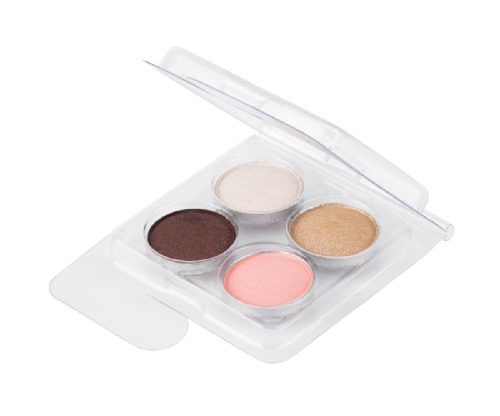 It's free from parabens and sulfate, and claims to be smudge and smear proof. I received #2, which is a gorgeous red color. Non smearing 3 in 1, gloss+stain+lacquer. "Infused with Lip Perfecting Spheres, that carry vitamins and a refreshing mint taste, Lip Bomb leaves your lips super-moist and with a velvety finish. " "Couture Colour Pequi Oil® Treatment makes hair 6X stronger, 3X shinier and visibly smoother after one application. Use it to nourish, stop frizz, seal split ends and boost colour." My bag came with the Onyx (black) liner. 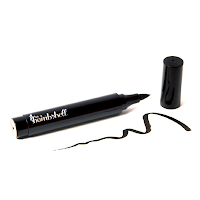 It has a pointed tip with a marker like application. Claims to be quick drying, no smudging feathering or running, and lasting all day. I received Sample set 8 which was four small shadows probably about the size of my finger tip. Vibrant Blue, Deep Eggplant, Candlelight, and Elven Midnight. Very popular in the YouTube beauty guru world for being highly pigmented and very affordable, Coastal Scents is well known for their shadow palettes. What a great selection right? The Lip bomb and liner looked to be full size products! I couldn't wait to try both and let me tell you, these were great! I'd like to give them some more use before I give rave reviews, but I definitely think I'll be buying both again once those run out. And while your here, enter my Bath & Body Works Giveaway! 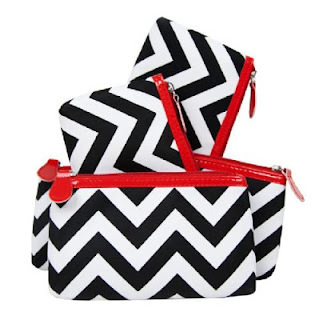 Love the chevron print and color of the bag!!! I got lip bomb #2 as well Love it! such a great color. I'm so glad they have turned things around. I love love my glam bag. I really like your color lip gloss and eye shadows. I got more of a subtle pink and pink eye shadows. The eyeliner I also like a lot, helps me get the exact line I put on my eyelids. They definitely have been coming out with better bags.